If you are looking for a wedding venue that offers something truly remarkable, then look no further. 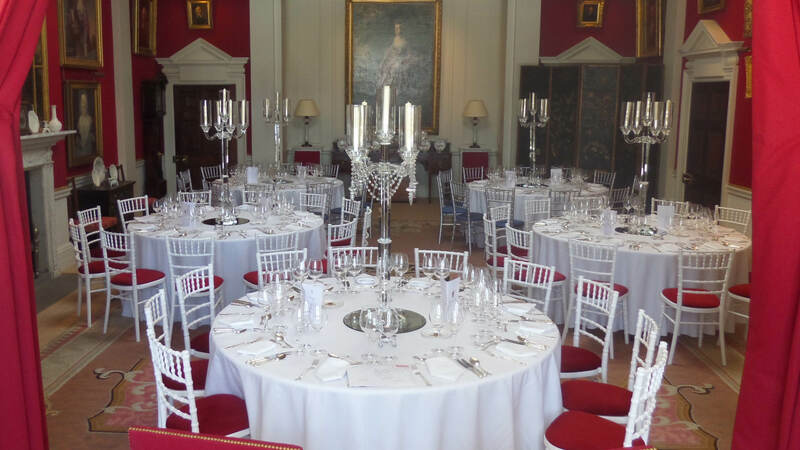 Dumfries House is an exquisite 18th-century country home which offers everything you require for your big day. 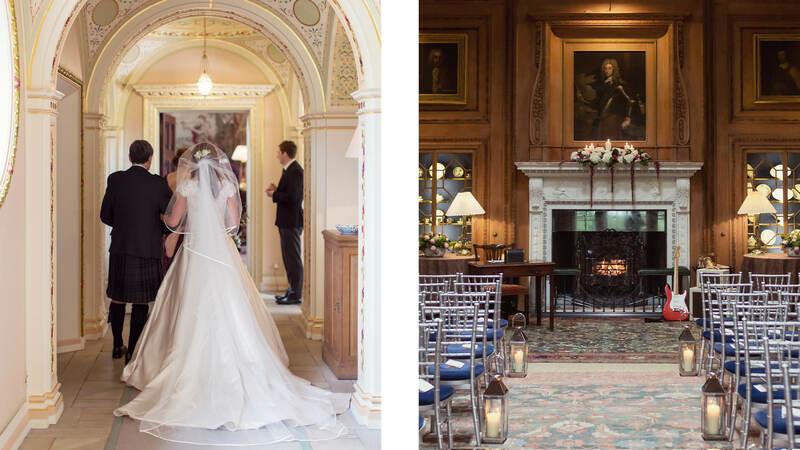 The regal Tapestry Room sets the scene, providing an atmospheric space to host your Wedding ceremony. Flemish tapestries bedeck the walls of this stately room whilst the marble fireplace ensures a warm welcome for guests. The cedar-panelled room is home to the House’s Grand Piano. This majestic location allows for up to 120 of your dearest friends and family to witness you both ‘tying the knot’. Once pronounced Husband and Wife, you and your guests will then enjoy drinks and canapés in the elegant Entrance Hall. On sunny days, guests are welcome to stroll around the gardens and fountain at the front of the House. Alternatively, if presented with inclement weather, the Tapestry Room is an ideal backdrop for group photographs. 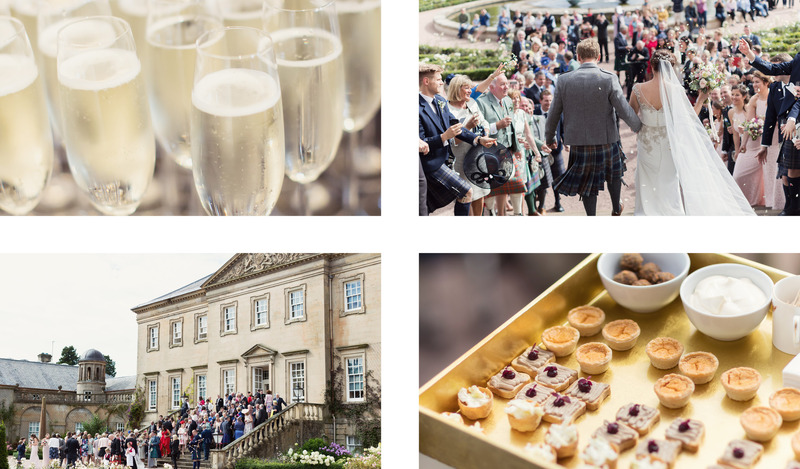 Post drinks and canapés, your guests will join the processional walk to the Dumfries House Pavilion, awaiting your joyous entrance. Witty speeches, delicious food and an evening of music and dance will follow. Our beautiful Tapestry Room is licensed for wedding ceremonies and provides an elegant setting for up to 120 guests seated theatre-style. We offer a range of drinks packages tailored to suit you and your guests. Canapés can be offered to accompany your drinks package. During the drinks reception, we can offer guests the opportunity to partake in a tour of Dumfries House, allowing them to familiarise themselves with their surroundings and the House’s colourful history. We will always ensure that your guests are well looked after while your photographer captures your big day. 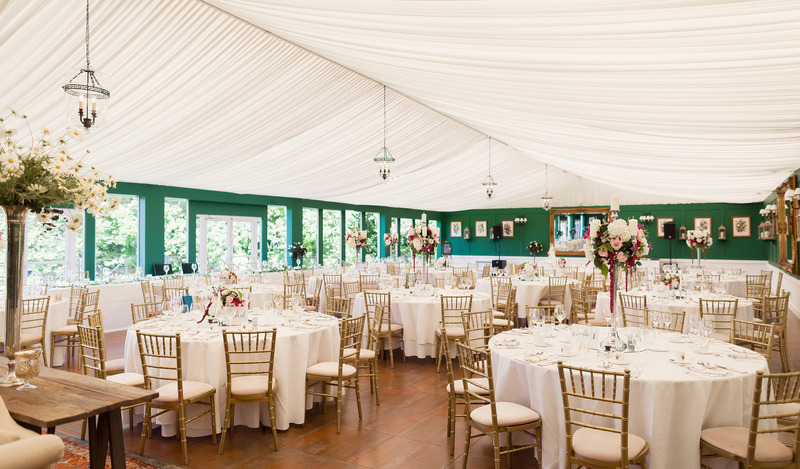 With seating for up to 180 guests, the Dumfries House Pavilion features not only an impressive wooden dance floor and drinks bar, but also a soft seating area offering comfy sofas with easy chairs and a spacious tiled dining section. The full-length glass north wall of this room allows for stunning views of the Dumfries House Estate. The elegant Crystal corridor is the perfect entrance to the Great Steward’s Dining Room. With its tall arched window, domed skylight and portrait –covered walls, the Great Steward’s Dining Room is the perfect classical setting for dining. The room offers a variety of dining set-ups. The mahogany Eglington table can accommodate 36 guests for 1 table dining. Alternatively, up to 60 guests can dine on round tables. The Library is a cosy, sociable room, offering both a formal seating area and comfy sofas around a roaring fire. The book lined walls and pillared entrance create a welcome and intimate setting for a candlelit Wedding breakfast. 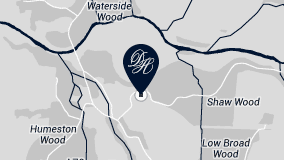 Why not encourage your guests to stay overnight at the Dumfries House Lodge, situated on the Estate. Offering 22 guest bedrooms, each luxuriously decorated for a relaxed country feel, guests can relax and enjoy the chatter amongst friends and family. 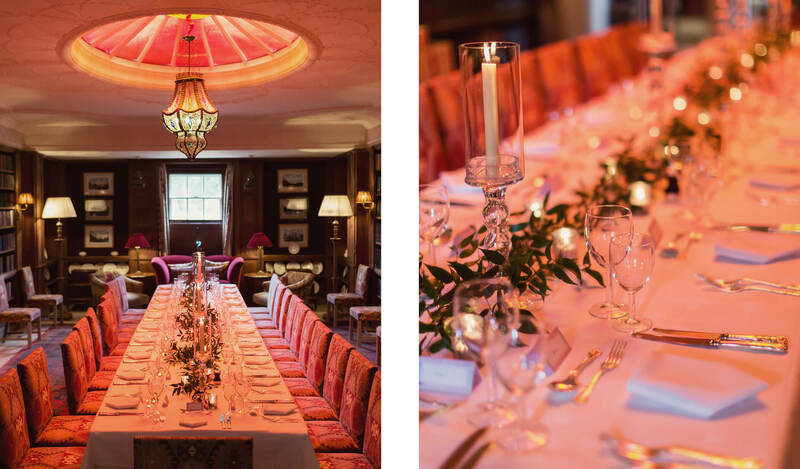 If guests wish to stay an additional night, either pre or post Wedding, why not book a relaxed supper in the Woodlands Restaurant or for larger groups, a private event in the Library.